In this week’s piano lesson, irocku has selected a song from one of the icon’s of American music, Johnny Cash! Those words are not spoken lightly because a music icon is unique: their contribution is immeasurable and their peers are few. Johnny Cash embodies a true icon; his career spanned 6 decades, record sales have topped 50 million, he is in the Country Music Hall of Fame, the Rock and Roll Hall of Fame and the Songwriter’s Hall of Fame, he won 11 Grammy Awards and is a Kennedy Center Honors recipient. The point is, the music of Johnny Cash changed the lives of many music fans forever. It is only right that for this lesson we go back to his first recordings for Sun Records in 1956. 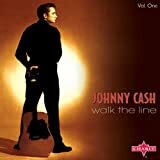 The song is Get Rhythm, released as the B-side to the legendary Cash classic, I Walk the Line. Even as a B-side, Get Rhythm climbed to number 1 on the country charts in 1956. Recorded with the Tennessee Two (Marshall Grant on upright bass and Luther Perkins, electric guitar), the song reveals Johnny Cash’s trademark sound, that of a “freight train” rolling down the tracks. You do not even notice that there aren’t any drums in the song due to the melodic twang of the guitar and thumping bass line creating a unique fusion of country and rockabilly that would give Cash his universal appeal. Get Rhythm speaks to the ability of music to lift us up when we are down, how the power of a good back beat can become the inspiration to go on to the next day, whether you’re a shoeshine boy or a teenager from anywhere USA, a good back beat can set you free! As a rocker, if you need to learn a country song, this is the one. It’s got the distinctive country beat that drives almost every country rock song ever written. Levels 1 and 2: Practice the C and F one-octave scales.First Week: Beginners practice the Lesson. Intermediate and Advanced students practice the Groove Chart and the Lesson. Second Week: Add the Exercise and Improvisation to your practice. Start slow and work the speed up with time. Counting is key! Always remember to experiment and try adding your own licks into the mix! Level 3: This is a quick one! Practice the F and Bb one-octave scales, which can be used to solo on this song's chords. You can use the Groove Chart to solo over if you choose.First Week: Beginners practice the Lesson. Intermediate and Advanced students practice the Groove Chart and the Lesson. Levels 4 and 5: This is a quick one! To help with improvising, practice the F and Bb two-octave scales, and learn the F, C, and Bb chords.First Week: Beginners practice the Lesson. Intermediate and Advanced students practice the Groove Chart and the Lesson. Levels 6 and 7: This is a quick one! To help with improvising, practice the F and Bb three-octave scales, and learn the F, C, and Bb chords.First Week: Beginners practice the Lesson. Intermediate and Advanced students practice the Groove Chart and the Lesson. Me playing “Get Rhythm” level 5. Joaquin Phoenix from 'Walk the Line"